Vegetable planting rates refer to the number of seeds planted per acre. They vary greatly depending on the type of seed, the desired number of plants per acre, and the spacing of the plants. An acre of cabbage requires 0.15 to 1.0 lbs. of seed. If the cabbage is planted 10 inches apart in rows 36 inches apart, 17,424 seeds are planted per acre. Carrots require slightly more seed. If planted 3 inches apart with rows 18 inches apart, an acre requires 1 to 2 lbs. or 116,160 carrot seeds. Plant bulb onions at the rate of 1 to 3 lbs. or 130,680 seeds per acre. This assumes the onions are 4 inches apart with rows 12 inches apart. English peas are planted at the rate of 80 to 120 lbs. or 87,120 seeds per acre. The seeds are planted 2 inches apart in rows 36 inches apart. If planted 6 inches apart in rows 48 inches apart, pole beans require 50 to 90 lbs. or about 21,780 seeds per acre. Sweet corn is planted at the rate of 2,200 to 2,900 lbs. of seed per acre. If the seeds are planted 10 inches apart in rows 36 inches apart, 17,424 seeds are planted per acre. Zucchini and other squash grown on bush plants require 2 to 4 lbs. or 9,680 seeds per acre. This assumes the squash seeds are planted 18 inches apart in rows 36 inches apart. Pumpkins and cucumbers require 1 to 3 lbs. of seed per acre. If the pumpkins are planted 60 inches apart in rows 72 inches apart, 1,452 seeds are required per acre. If the cucumber seeds are planted 6 inches apart in rows 48 inches apart, 21,780 are planted per acre. 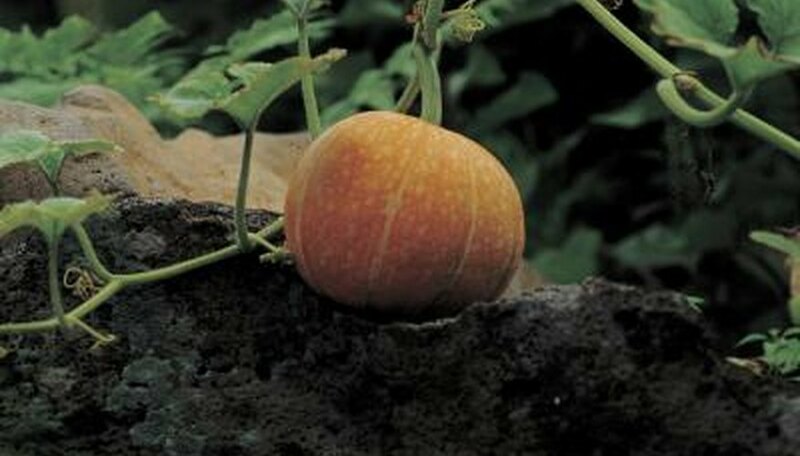 Cantaloupe is planted at the rate of 0.5 to 2.0 lbs. or 5,445 seeds per acre. The spacing is 24 inches apart in rows 48 inches apart. Watermelon seeds require a spacing of 72 inches by 96 inches; 0.25 to 2.0 lbs. or about 908 seeds are required per acre.